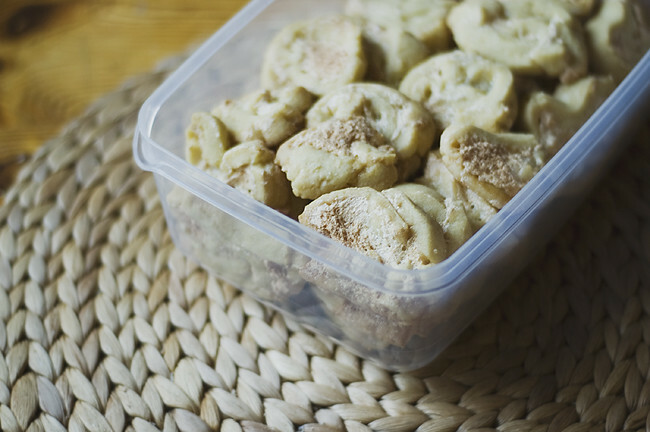 It has been raining all day, so I decided to stay inside and make cookies ('jitterbuggar' in swedish), which is basically just pastry dough and meringue. To my surprise they taste like delicious waffles. Perfect with a glass of milk. Looks very NOM. I made an apple cake today, with cinnamon. These look delicious! The photos and the light in them makes me feel so cozy and homey. here's the recipe! I'm not sure about the measurements though, but it probably doesn't matter too much if it's a little off. 1. mix the flour, sugar, butter and eggyolk together and work it into a smooth dough that holds together. cool it in the refrigerator for a while. 2. whisk the eggwhites separately in a bowl until it has turned into a stiff foam. add the sugar little by little at the end of this process. 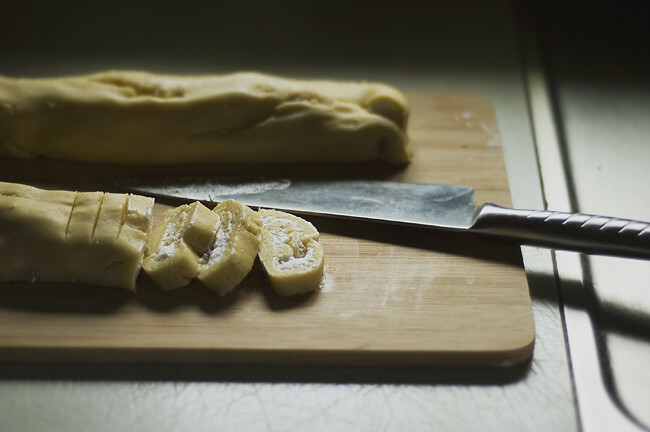 3. take the pastry dough out of the fridge and cut it into two pieces. use a rolling pin to roll out the pieces into two rectangular shapes (approx 15cm x 30cm). not too thin! 4. spread out the eggwhites on the dough and roll them into two rolls. refrigerate for 15 minutes. 5. take the rolls out of the fridge and cut them into pieces (about 1cm thick), place them on a baking tray with a baking sheet. 6. bake at 175°C (or 350 °F) in the middle of the oven for 12-15 minutes. I adore your posts. they're very inspirational. something about personal food posts are extremely enjoyable to me. not really sure why, but thank you for that, anyways.